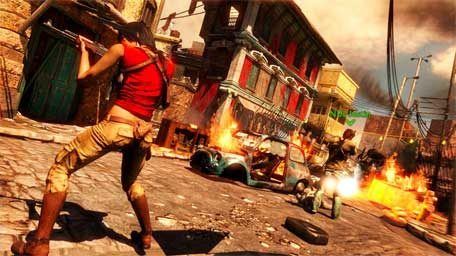 Hey Everyone, Fancy Playing Uncharted 2: Among Thieves' Multiplayer? Wanna Try This Out? Now You Can! Word. Some might not have got various preorder bonuses or gained access to the beta. That changes today though, when anyone can download the Uncharted 2 multiplayer demo from the Playstation Store. There are four different maps, four game types and two co-operative modes included. You also get access to the Cinema, so you can cut your own Uncharted Bollywood movie should you wish. Seeing as it's all free to gain access to — you'd be kinda dumb if you didn't at least check it out. Just saying.